Prolific setter Jia Morado took charge in the endgame, buoying the Creamline Cool Smashers past the Pocari Sweat-Air Force Lady Warriors, 25-19, 25-17, 20-25, 18-25, 16-14 in the PVL Open Conference at the FilOil Flying V Centre. After letting a 2-0 set lead slip, the Cool Smashers were in dire straits in the fifth set, trailing 5-10. Fille Cainglet-Cayetano helped Creamline erase the lead from the service line, tying the match at 10 after a Risa Sato kill off an over-passed serve. Del Palomata keyed a Pocari Sweat late run, pushing in back-to-back hits to give the Lady Warriors a 14-13 lead. Pocari Sweat setter Wendy Semana was then tagged on a net touch to bring the match to a deuce. That was when Morado struck, firing in two aces to close the match in a blur. “Who wouldn’t trust Jia Morado?” said Creamline captain Alyssa Valdez on her long time teammate. “Kapag ganoon kasi na lamang ‘yung kalaban, you can’t just serve safe kasi we were on the brink of losing, you have to take a risk. 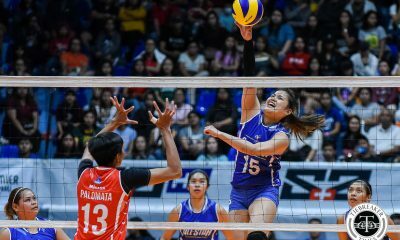 High-risk, high reward,” said Morado who finished with eight points and 44 excellent sets. 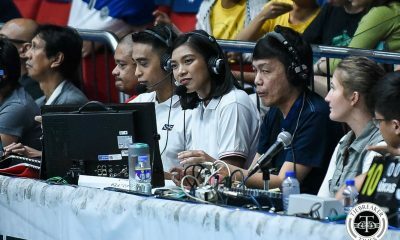 Alyssa Valdez managed a game-high 22 points, while Fil-Japanese middle blocker Risa Sato added 16. Middle blockers Jeanette Panaga and Del Palomata each provided 19 points for the Lady Warriors, while Myla Pablo tallied 13. 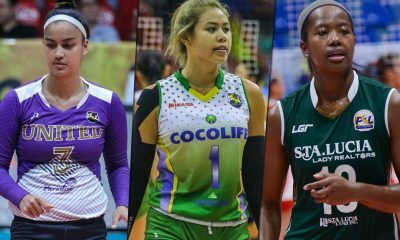 The Cool Smashers (4-1) take on the undefeated BanKo-Perlas Spikers (5-0) on Wednesday. Pocari Sweat (3-2) will face the Tacloban Fighting Warays (2-3) on Saturday. Both games will be at the same venue.